The quote from the diCaprio movie is probably one of my most favorite quotes ever. Not only because I love going to the beach but because I always seem to have this wanderlust in me --- to keep moving and to go places. In the last 5 years, I think I've moved homes for four times now. is another guilty pleasure I have. People who know me would tell you how lazy I am at planning, I've been late to a flight as well and I don't ask about my flight details until one day before and I completely zone out. But as soon as I step out of the car/boat/plane? I'm on a high. The BFF and I recently met her Malaysian colleague, Chris in Kota Kinabalu, Malaysia last week. It was a much-needed break/vacation, especially since I've spent too many hours online, both for work and for leisure.It was a welcome change amidst my deadlines and brainstorming. As I've told C and our Sabah friends, I originally thought that KK was all mountains and beach and err, nothing more. For this I blatantly blame my friend R [hello, Tubbs!] for leading me on to think it's damn hard to get a hold of alcohol in Sabah. So, did I enjoy Kota Kinabalu, Malaysia? Let me count the ways. 1. Plane fare was not at all bad. 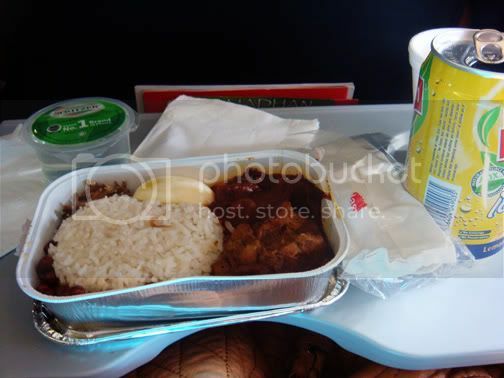 We booked a two-way ticket via Air Asia at around Php 1,800 including plane food. The only downside to this is that you'd have to go to the Philtranco Terminal in Pasay, ride the bus bound for Clark and fly from the Diosdado Macapagal Int'l Airport. Then again, this is not a bad alternative when there are no Cebu Pacific seat sales. Besides, Air Asia flights in the Philippines rarely get delayed. 2. Good hotel deals. Chris was able to book a deluxe family room for 3 persons at only Php 2,400/night at Tang Dynasty, Lorong Wawasan. 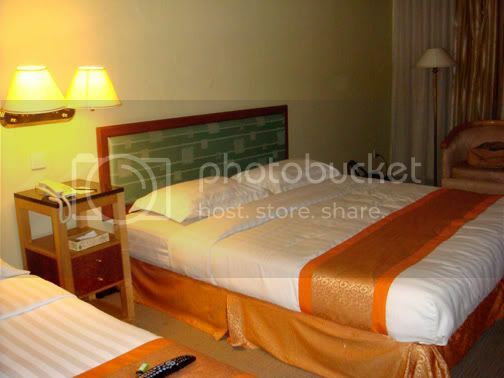 Not only that, the hotel was a 3-star one, with complete amenities such as: LCD TV, hot shower, water heater, cable TV. It was near the airport, as well as the jetty [if you're going to the beach] as well as The Waterfront , where a whole row of restaurants and bars are seated. 3. Exchange Rate . 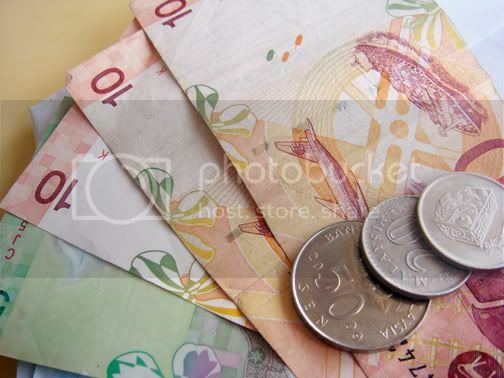 Malaysian Ringgit ranges from Php 13 to Php 14 in forex. Not bad! 4. 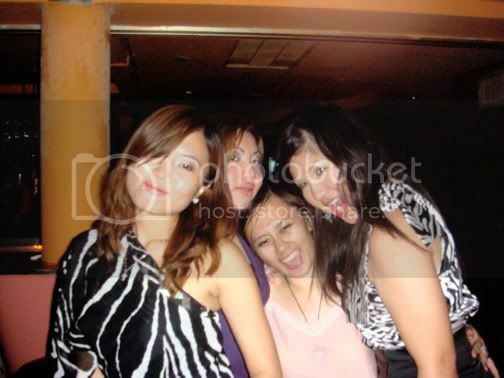 The alcohol and the partying, especially with girlfriends. This is for you, Tubbs. As opposed to the idea that it's hard to find liquor in KK and that there is not much partying, well, it's not true. It's not exactly cheap, though, like in Manila. When we were at this bar called Jugs, I was astonished to find that our local beer San Miguel Light retailing for 22 RM. 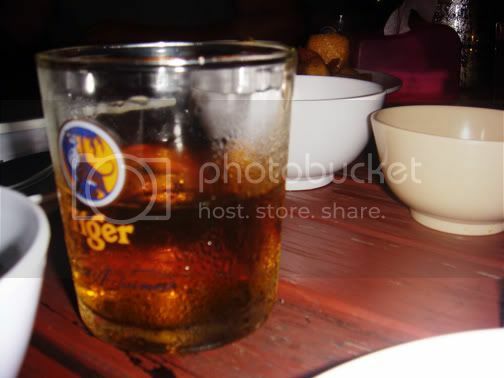 Tiger Beer, a Singaporean brand, seems the most common beer in KK. That's me looking extremely drunk, Dang, Bebe and Chris at a KK bar, Razmatazz. 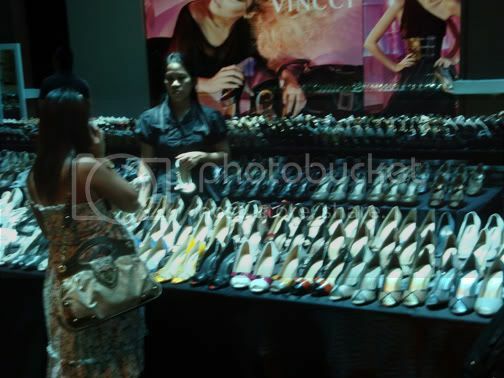 Literally, a sea of C & K shoes at Warisan Square. Note: The actual Charles and Keith store is just beside it. All sale items go at the corridor. Chris and I mulling over on-sale Roxy [Warisan Square] swimsuits, selling for about Php 1,400/pair. 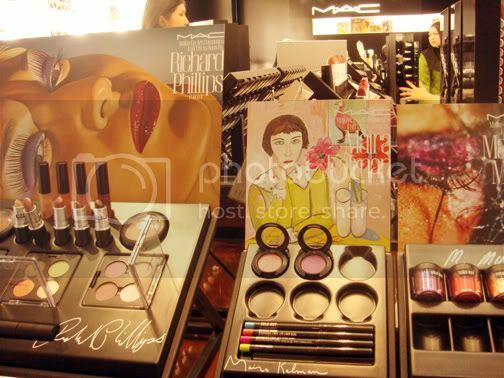 L-R: Richard Phillips collection, Maira Kalman collection and Marilyn Minter collection. 6. 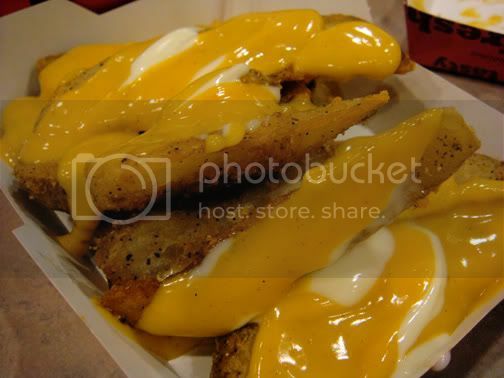 KFC Cheesy Wedges. Yep, you read that right. It does deserve a bullet on its own because we don't have it here in the Philippines. Dang and I were extremely addicted to these and wanted to eat it for each meal of the day. Yum! 7. Being with your girlfriends somewhere and fulfilling your wanderlust . Being my bestfriend since college [and a close friend since high school], Dang shares my love of doing our favorite activities with just girls. Going out of town and being totally independent from boyfriends is one of my favorite highs in the world. Sure, I love going far away with the BF and my family but this trip affirmed my adulthood [yessss!] and well, it was crazy. In fact, one of the rules the three of us imposed on ourselves is that we don't wake up each other, no pressure to rush and again, no on-schedule activities. We followed the rule too hard that we ended up missing the boat going to Sapi Island. Bleh, but it was still fun :) We just enjoyed our tea at the KK Jetty Port with OJ and Bebe. My bestfriend and I at the KK Jetty Port. Travel tax in Diosdado Macapagal International Airport is also Php 1,620, same with NAIA.Terminal fee is Php 600.00. Exchanging money is best done at the KKIA, for better rates. You might find it hard to look for an ATM that accepts the usual Philippine banks, though. If you smoke, remember to bring enough packs of cigarettes as they are really expensive in KK. My Marlboro Lights cost 9 RM [approx. Php 123.00]. Oh and don't be surprised as cig boxes have icky photos of gangrened feet, rotten lungs and aborted fetuses. I kid you not. If you're planning on visiting the biggest mall across East Malaysia which is 1 Borneo, take the free shuttle which stops at the Warisan Square every hour until 7:30 PM. It's free for tourists as long as you show them your hotel card. Taxi fare to and from the airport is fixed at 30 RM per way. The normal beer [Tiger] costs 15 RM but it's a big bottle, around 750 mL. Drinks at bars can be quite pricey, the beer at 25 RM [approx. Php 300] and cocktails in pitchers at 75 RM [roughly Php 800]. Their Daiso/Saizen store price is 5 RM, approx. Php 70, slightly cheaper than ours which is Php 88. Haul, haul, haul! The boat at the Jetty Port going to the island is 30 RM [roughly Php 400]. Entrance to the public beaches, if I remember right is about 15 RM but I may be wrong because like I said, we didn't push through the beach trip. It's a Muslim country and talks about religion can get sensitive so I'd advice to just be, well, sensitive with the people around you. The weather is pretty much the same in the Philippines and I think it's okay to wear short shorts. See my photos? Hotel cable doesn't really offer much. Whenever the TV was on, all we watched was AXN and reruns because according to Chris, their free TV is just like 3 or 4 channels so one needs a good cable service for lots of channels. Bring a 3-pronged plug. Thanks, D! I've been told that the best pasalubong one can buy is their fruit ice popsicles which are packed in styro boxes with dry ice. I bought a box at 18.60 RM, with 6 flavors [12 pieces] and they are good, especially the avocado one. Enjoying my avocado popsicle at KKIA. Whew, that was long! :D We are already planning them Malaysians' trip to MNL and Boracay so I hope everything goes well. I wish you enjoyed my post and find it helpful if you're KK-bound anytime soon.